I'm pretty obsessed by crystals, stones and all sorts of energy promoting goodness at the moment and I've been meaning to share this cooling and soothing beauty tool with you for the longest time. I have the smallest version, which I use mainly around my eye area but will sometimes expand across all of my face and across my lymph nodes for an extra treat. When your lymph nodes get congested it can leave you feeling pretty icky to say the least, including extreme fatigue and one thing that Jade Rollers do exceptionally well is help to eliminate toxins from your system, leaving you feeling much more perky. Jade as a wealth of healing properties and when combined with a massaging action your skin will noticeably start to change for the better. Other benefits include less spots around the chin and jawline, plumping out wrinkles, stimulated collagen production (YES) and it also de-puffs amazingly well. I always try to recreate facial routines at home, but the cooling and soothing ways of the Jade Roller really do make you feel like you're having your own spa experience. Plus, if you store in the fridge it can be used on your temples to ease headaches and hangovers, now that's a bonus! When using my Jade Roller under my eyes in partnership with my favourite odacite eye serum, my dark circles basically vanish within a few days, it really is that good - Have you tried this Chinese beauty sensation yet? 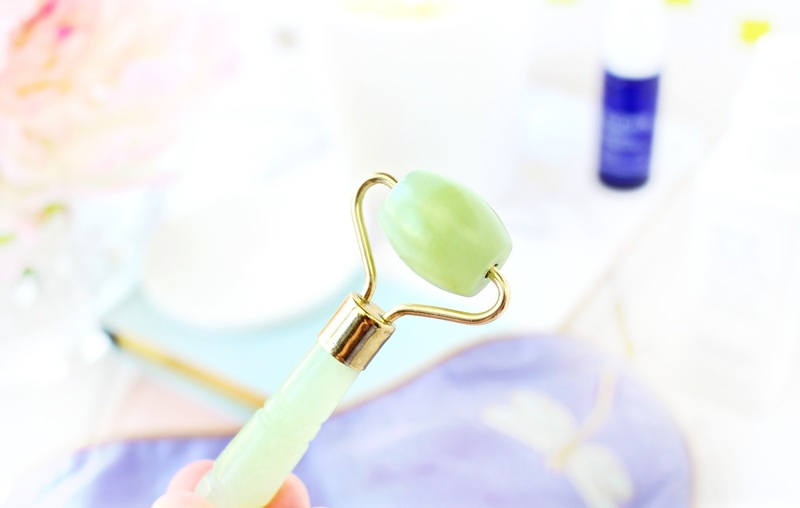 I purchased mine from Cult Beauty, where they are actually giving away this Jade Roller FREE with a £40 spend! 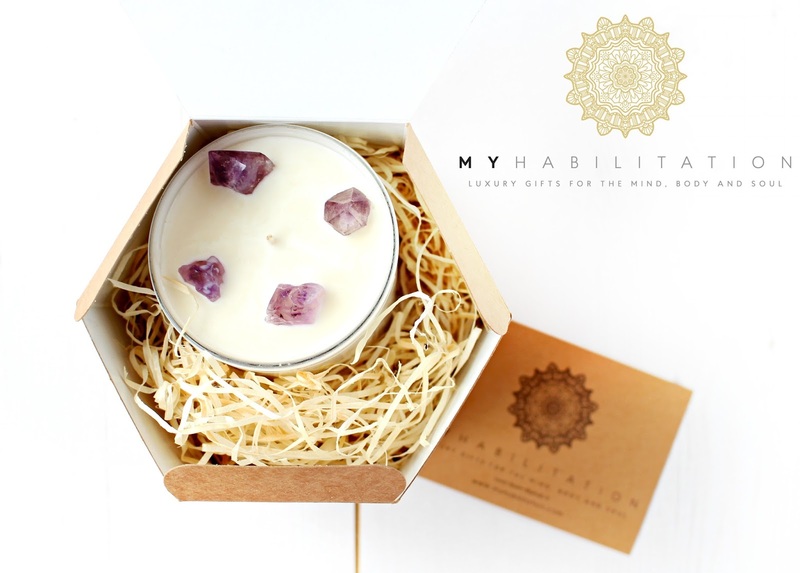 Myhabilitation Amethyst Reiki Infused Candle - 20% OFF! Hello! Long time no speak. I've been away from my beloved blog for over a month, but in all honesty I have needed a break. I've been pretty ill recently and had a pretty nasty turn last week whilst having some tests run to try and figure out why I've been having intense spells of dizziness and fatigue. As a lot of my readers will already know I have a pretty hectic lifestyle, which involves a super high paced job, lots of travelling and very long days, which means that I'm often left feeling tired and a little below par. I'm all for self help and I'm really excited to share a beautiful new product with you today. A few of you might have noticed a few teaser posts on my twitter over the past few months, which have been all to do with my sister's exciting new venture, soon to be featured in Vouge. Myhabilitation is the product and housing brand of a magical conversation with my sister's beautiful, funny and soulful little girl Honey-Beatrice (my niece) whilst on holiday in North Ibiza. Myhabilitation has a growing number of tributaries, Soulhabilitation being one of them all designed to nurture your senses by creating products that will truly help to soothe your soul. When I think of Amethyst I think of its healing powers, which help with physical ailments, emotional stresses and generally promotes a more balanced and positive energy. I was lucky to try a Myhabilitation Reiki Infused Candle for the first time early this year and it was love at first use. Before evening burning the candle, it has a subtle captivating charm and once lit it does not disappoint. The candle itself is made from Organic and ethically certified soy and promotes clarity with the addition of Amethyst, which helps to protect and install peace within your personal space. Lovingly handmade these candles are infused with reiki during their creation, which makes them truly unique. They are scented with Nag Champa an Indian fragrance popular in incense, which has woody notes of patchouli, musk, amber and vanilla giving it a lovely warmth, with a slight sweetness that makes it a great candle for all occasions. The candle has an impressive burn time of 60-65 hours, which makes its price tag of £25 very reasonable, especially having such fantastic properties and a scent to die for. 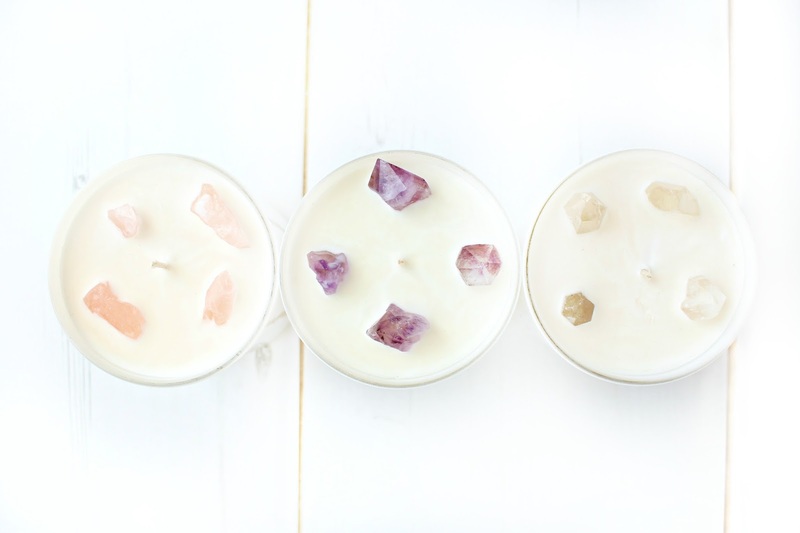 Overall, I truly adore the Myhabilitation candle's and they're available in a variety of crystals, what one will you choose Amethyst, Rose or Clear Quartz? Visit Myhabilitation and receive 20% off your order using promo code "MYHAB20"